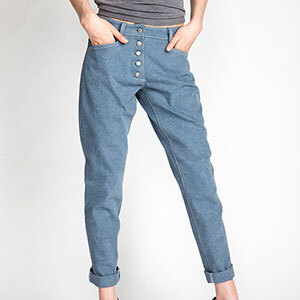 The Wyome Boyfriend Jeans are loose fitting jeans with five pockets and a low waist. They feature a revealed button closure in the front, back pockets with stitched zig zag detailing and legs that narrow down toward the bottom. 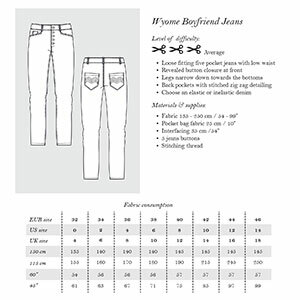 Suggested fabrics are denim or stretch denim.